In January 2009 I wanted to get rid of cable, so I returned my cable box for good. I no longer pay any cable bill. I get my TV shows the old-fashioned way—over the air. However, I’m a tech junkie too. I still need to have the ability to pause and schedule the recording of my favorite shows. Also there are certain channels I need to have. I have three kids, ages six, four, and two. They like to watch kids’ shows. So that’s why I really needed to the ability to schedule recordings of PBS shows like Caillou, Thomas and Friends, Electric Company, and Wordgirl. With those requirements I set out to build a system that would meet my picky requirements. I will show you how I did it in this article. But you can do this. I did it for four reasons. First, the obvious one, I save money. I had the digital cable package and I was paying close to $50 a month for cable. I’m sure most of the visitors to this page pay even more than that. Having no monthly cable bill sure is nice. Secondly, I have more free time now that I’ve kicked cable to the curb. Sure I had some good shows to watch, but there was a lot of junk on there that I didn’t watch. Plus I didn’t even like some of the shows that I found myself watching. I’d be flipping channels and see something cool, like a tiger chasing a wallaby, but two hours later I’m watching “The History of Window Cleaning Fluid.” What happened? Now with my new setup I only record shows I like to watch and I skip commercials to boot. I can watch live TV if I want to—but I’m less inclined to, because there’s always something on in my recorded programs list. This leads to my third reason. I now enjoy the TV shows I watch even more because I’m a lot more picky about what I’ll watch. Instead of sitting through that entire episode of the history of window cleaning fluid I’d much rather see if one of my favorite shows is ready to be watched. And finally, I mention the fourth reason. It’s fun and satisfying to pull TV signals out of the air and watch your shows for free. I like feeling like I’ve saved my family some money. I also love the great digital picture that my free solution provides. Of course I will need to tell you what you’re getting yourself into. What will this sort of thing cost, you ask? This is tricky because there are many ways to set this up. You may already have some of the needed parts. Maybe you want to opt for the deluxe antenna on the roof. Maybe you want to splurge and pay for a lifetime TiVo subscription (I did). A good solution will let you record and pause live TV. You won’t need to pay your monthly cable bill, but you will need to pay a monthly TiVo subscription fee. Still, this is really all you need to eliminate your cable bill. A TiVo is like a VCR on steroids. It is also much easier to use. If you are unfamiliar with DVRs, make sure you check out the DVR Section in the Recommended Reading below. There are many different TiVos to choose from. For this setup you really only need a TiVo Series 2 (NOTE: Series 1’s don’t have the ability to control a Converter Box). Dual Tuner is nice for flexibility, but really you only need a single tuner TiVo—but those are hard to find. The TiVo may seem expensive, but once you own one you soon realize it’s worth every penny. Even if you’ve used DVRs from your cable company or your dish provider, I think you’ll find the TiVo’s interface superior to the other devices. I didn’t want to mess around with running wires through the house, so I wanted the best and easiest indoor HDTV antenna. 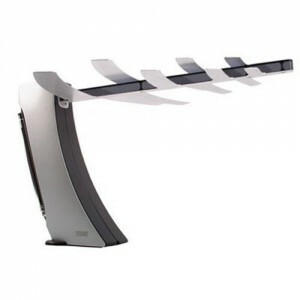 There really is only one that fits that bill and it’s the Terk HDTVa Indoor Amplified High-Definition Antenna for Off-Air HDTV Reception. What I really like about this antenna is it’s ability to pick up so many stations in my area. I normally pull 13 channels in my basement here in Omaha. That’s more than the other antennas I have tried. If I point it just right I can pull in 6 more channels from Lincoln (about 50 miles away). For the price, this is the best indoor HDTV antenna you can find. You can still get a better reception from an on-roof antenna or maybe an attic antenna, but those are usually more of a hassle and more expensive. I recommend the Tivax STB-T8 Digital to Analog Converter Box. This converter box works great with the TiVo Series 2. I’ve used a few other converter boxes, but really this one was all I needed. What’s really cool about this converter box is that it can keep the antenna signal strength on the screen indefinitely if you need it, which is helpful when you are positioning your antenna. It does have a built-in guide, but you won’t need it with the TiVo. If you do buy a higher end “smart antenna” (the box can tell the antenna where to point) this supports that as well. If you haven’t gotten it already, make sure you apply for and receive your $40 coupon from www.dtv2009.com. This coupon can be applied to this converter box on Amazon.com. You will still need to subscribe to the TiVo monthly service. This allows you to download TV listings, get updates to your TiVo’s software, and download movies from the Internet. The “Good Solution” adds up to a grand total of roughly $192.00 with a monthly fee of $12.95. If you are currently paying $50.00/month for cable, this solution will pay for itself after 5.2 months, including the monthly fees. This setup is slightly better because I add an RCA Selector (so you can hook up your other devices to your TV easier) and a Wireless G Network Adapter so you can download movies to your TiVo faster and share multimedia between your home network and TiVo. We still need to buy the TiVo (about $145), Antenna (about $37), Converter Box (about $10 after coupon), and the TiVo monthly fees ($12.95/month or $129/year). 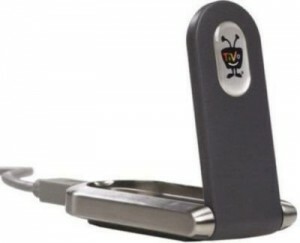 This handy little guy gives you the ability to connect your TiVo to your wireless network for transferring shows between other TiVos, share up music and photos to your TV, and even setting up online scheduling of recordings. It gives you more download speed so you can buy movies online and watch them on your TiVo faster. Connect your TiVo Series2 DVR to your wireless home network with this TiVo Wireless G USB Network Adapter, and enjoy TiVoToGo, multi-room viewing transfers, music and photos served up to your television, and easy online scheduling of recordings. 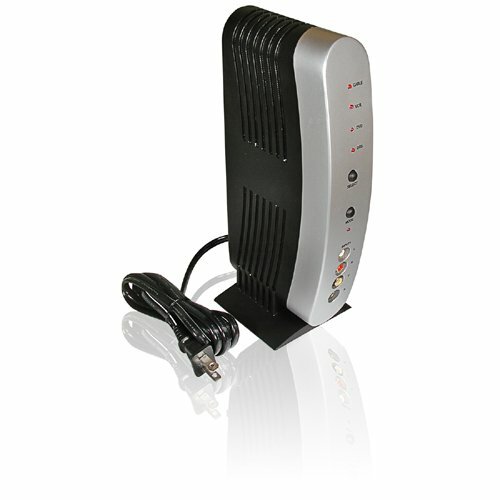 If used with a broadband connection, it also eliminates the need for a phone line. With the TiVoToGo feature, you’ll be able to transfer programs from your TiVo box to a Windows-based desktop or laptop PC. It works with 802.11g and 802.11b wireless networks. This device (Philips PH-61153 4×1 Automatic Video Selector and RF Modulator) allows you to hook your DVD Player, Video Game Console, VCR, and TiVo all to the same TV. It’s smart, too, because you don’t need to directly control it. It’s smart enough to switch to the device you want to watch by prioritizing them. This also supports S-Video, which you can mix with RCA cables. That’s what I do in my setup. The “Better Solution” adds up to a grand total of roughly $256.00 with a monthly fee of $12.95. If you are currently paying $50.00/month for cable, this solution will pay for itself after 6.9 months, including the monthly fees. This is the setup I’m using. It includes all the stuff mentioned previously with the addition of a Logitech Harmony 880 Remote and a TiVo Lifetime Subscription. 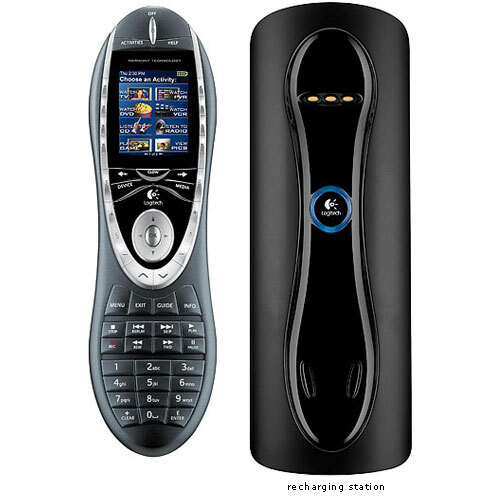 This remote is truly a great universal remote. I have it set up as three activities: “Watch TV,” “Watch DVD”, “Watch VCR.” The universal remote’s LCD screen shows these custom activities and I just select the “activity” I am interested in. “Watch TV” controls the TiVo and the TV. It shuts off any unneeded devices so my video selector automatically selects the TiVo as my input device. When I want to watch a DVD, I just use my Logitech Harmony remote for that too. I choose “Watch DVD” on the activity screen and bam! The DVD Player turns on, the video selector switches to the DVD as the input source, and my remote’s LCD screen switches to DVD Player mode. It controls both the TV (volume, TV Power) and the DVD player. I only need this one remote. This one is pricey, but it’s nice for not having that monthly bill arrive from anyone whatsoever. With a TiVo lifetime subscription you will never have to pay for software updates and TV listings, ever. I’ve owned two TiVos now and I’ve insisted on the TiVo Lifetime Subscription on both of them. You can buy a TiVo service plan at https://www3.tivo.com/store/plans.do. The “Best Solution” all adds up to a grand total of roughly $776.00 with no monthly fee. If you are currently paying $50.00/month for cable, this solution will pay for itself after 15.5 months. Okay, How Do I Hook all This Stuff Up? It’s pretty easy, but if you are skittish about fiddling behind your television set, I’ll help you. Stay tuned for my next article on how to set all this up. Before you do this, I recommend buying the antenna and converter box first. You may not be satisfied with the channels that you get in your area. Research the return policy of the store you buy these from. For Amazon Returns, see http://www.amazon.com/gp/help/customer/display.html?nodeId=15015711&tag=groc0-20. Also, check out the TV stations you could possibly pick up in your area. See http://www.antennaweb.org/. You just enter your street address and it shows you what stations you should be able to see and where they broadcast from. I placed this article out there to help you out. I own all this stuff and use it in my setup. If it doesn’t work for you, be cool, don’t blame me. I’m just trying to make the world a cooler place. I don’t claim this will work for everyone who tries it. Your area may not have the right signal strength, you may have bought faulty equipment, maybe you shouldn’t be hooking up electronics, or maybe there’s a large badger that has a nest right over your house—it could be nearly anything!